TALBOT Bruce Harvey – It is with great sadness that we announce the sudden passing of Bruce Talbot at home on Wednesday, March 27, 2019 in his 68th year. Beloved husband of Ellen Talbot (nee Thomas). Cherished brother in law of Olga, Joanne, Amos (Linda), Herb (Jane) and Zada. Bruce is predeceased by his parents Albert and Eva as well as his brothers Bob and Wayne. Will be sadly missed by his nieces, nephews and cousins. Bruce was a proud member of the Royal Canadian Legion Branch 4 in Welland and will always be remembered for his love of antique cars. The family will receive relatives and friends at H.L Cudney Funeral Home, 241 West Main Street, Welland Ontario on Monday, April 1, 2019 from 2 – 4p.m. and 6 – 8 p.m. with a service to follow in the Cudney Chapel on Tuesday, April 2nd at 11 a.m. Interment to follow at Woodlawn Cemetery. Memorial donations to the charity of your choice would be appreciated by the family. 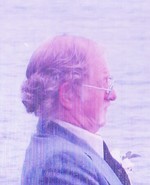 Online condolences available at www.cudneyfuneralhome.com.